Varna is the third largest city in Bulgaria and the largest city and seaside resort on the Bulgarian Black Sea Coast. Situated strategically in the Gulf of Varna, the city has been a major economic, social and cultural centre for almost three millennia. Varna, historically known as Odessos, grew from a Thracian seaside settlement to a major seaport on the Black Sea. Today, the city is a modern city with a rich cultural calendar. There are two of the most modern multifunctional halls in the country - the Palace of Culture and Sports, and the Festival and Congress Center, which allow the organization of many international film festivals, scientific forums, and sporting events, such as the Varna Summer International Theater Festival, the International Summer Festival "Varna Summer", the International Folklore Festival - Varna, the International Film Festival "Love is Madness", the International Golden Dolphin Festival of Puppet Art, International the photographic studio, the Golden Rose Festival of Bulgarian Film and others. There are a lot of amazing places to see while in Varna. Of course, there is the beach, but Varna is a wonderful city and one of the most desired locations for living in Bulgaria. The town's location along the Black Sea coast, as well as its rich natural resources, make it one of the most famous resorts in Europe and the largest in the Black Sea region. At the same time, it is a crossroads between the Middle East and Western Europe. The Sea Station, the Sea Garden, the Cathedral and the Asparuhov Bridge are a small part of the sights of Varna. Especially pleasant is the walk along the main street, dotted with restaurants and cafes, which leads directly to the beach and the sea garden. The Varna Sea Garden offers many amusement opportunities - it has an amphitheatre, an astronomical complex, an observatory, a planetarium and a tower, many playgrounds and a small crew for children, a water bicycle and a zoo. The summer theatre is a centre for many events, the most important of them being the Varna Music Days, the world-famous International Ballet Competition and the Varna Summer - the Triennial of Arts. Here are some places that you should not miss. The construction of the temple began in 1880 under the patronage of the Russian state. Today, the cathedral is a starting point for tourists and for citizens of Varna. The impressive and colossal facade impresses everyone. The interior is no less remarkable. Everywhere there are frescoes, frescoes and beautiful icons that welcome visitors to the temple. By the very construction of the cathedral, there are many masters working on the model of the Peterhof Temple in St. Petersburg. The remains of the Roman Thermae - a complex of Ancient Roman baths, lie in the southeastern part of modern Varna. They have an area of some 7,000 m2, with the vaults reaching up to 20–22 m in height. By area, the Roman baths of Varna are the fourth-largest among the preserved thermae in Europe. A wonderful place for families and for everyone that enjoys dolphin shows. The 30-minute impressive attraction of marine mammals includes acrobatics, balance, water dancing, water-tailed queue, note singing, and more. An exciting and memorable experience is the visit of the Dolphinarium. A suitable landmark for everyone, especially the little ones. You can visit the official website and even buy tickets online. The Observatory was opened on May 22, 1968. 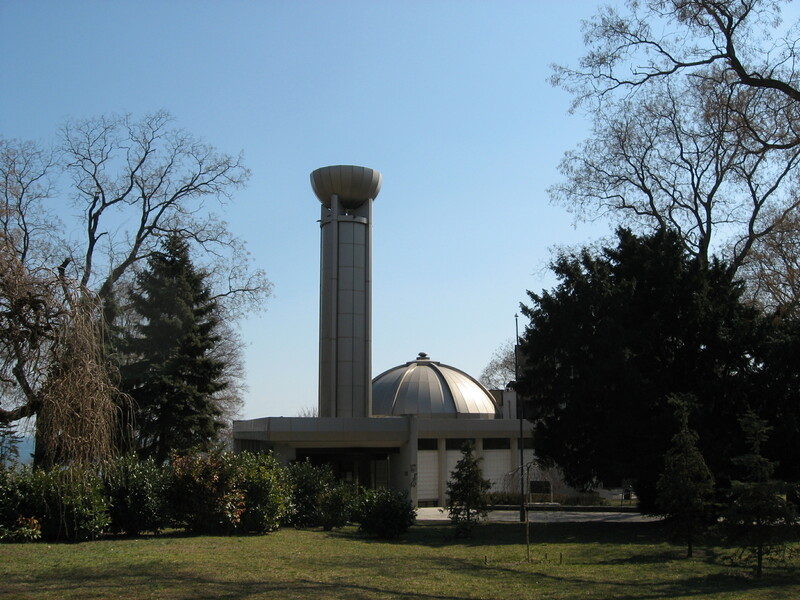 It is unique because it has an Observatory, a Planetarium with a Star Room, and a Foucault Pendulum Tower. The most enthusiastic fans have the opportunity to attend astronomical courses. Varna is a wonderful city for both living and tourism in every season. In our next article, we will tell you about the amazing places around Varna that you can visit while you are there.